Providing you the best range of acrylic extruded sheet, extruded acrylic sheet, extruded acrylic sheets, acrylic clear sheet, acrylic laser cutting sheet and acrylic color sheet with effective & timely delivery. We are the manufacturer of Acrylic Extruded Sheet. We obligated to meet the quality standards as per the industry norms. We are the manufacturer of Extruded Acrylic Sheet. we obligated to meet the quality standards as per the industry norms. 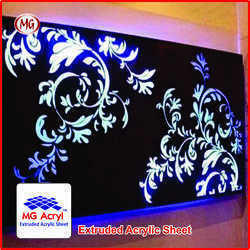 MG Acryl flat extruded acrylic sheet offers light transmission that surpasses glass, but at only half the weight of glass. 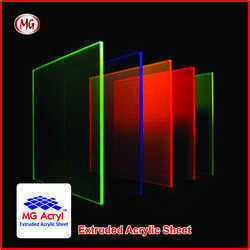 Inherently UV resistant, MG Acryl is an excellent choice for both indoor and outdoor applications. Our Extruded Acrylic Sheets have higher capability of strength to weight ration and are unaffected by moisture and chemicals. Extruded Acrylic Sheets also offer high light transmittance and are better replacement of glass as they are sturdy and stronger. Extruded Acrylic Sheets can be heat-formed without loss of optical clarity and can be cut, routed, polished, bent and formed. Its high clarity and formability offer designers a world of options, from small fabricated items and displays, to signs, railings, and more. Lighting: lighting control lenses, domestic light fittings. Engineering components: machine housings, machine safety covers. Advertising and signage: moulded letters, store displays, shop fittings, illuminated graphics panels. Other applications: containers, lettering templates, sound barrier walls. 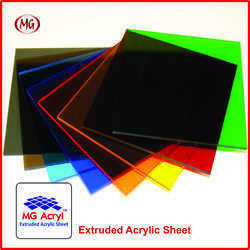 MG Acryl is available in Transparent, Opal and Opaque Features. Colours: Clear, White, Glossy Black, Smoke, Red, Blue etc. Standard Thickness is from 1.5 mm to 20 mm. Special thicknesses, colours and sizes can be produced to special order, subject to special conditions. 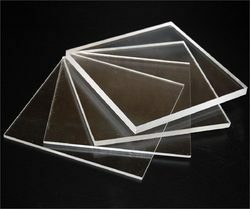 We are the manufacturer of high-quality Acrylic Clear Sheet for our clients. 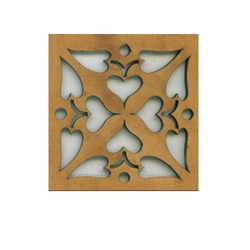 We are the manufacturer of Acrylic Laser Cutting Sheet. We obligated to meet the quality standards. 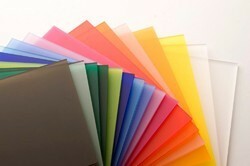 We are the manufacturer of Acrylic Color Sheet. We are the manufacturer of Acrylic Laser Sheet. We are the manufacturer of PMMA Acrylic Sheet.